Painter. Born in St Louis, MO on March 12, 1886. Chase studied at the ASL in NYC in 1909. He was based in New York and Nantucket, MA except during 1935-36 when he was in southern California where he painted the desert near Palm Springs. He died in Woodstock, NY in July 1958. 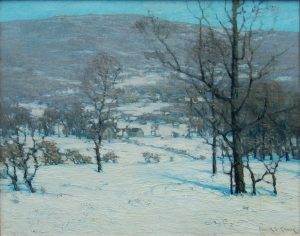 Exh: Salmagundi Club, 1921; NAD, 1921; AIC, 1922; PAFA, 1923; San Diego FA Gallery, 1928. In: Charleston (SC) Museum; Mechanics Inst. (Rochester, NY). 1] WWAA 1936-56.